There are several white sand beaches along the Royal Coconut Coast. They are easily accessible and most offer amenities such as restrooms, showers, and picnic tables. Check ocean conditions prior to getting in the water; don’t go out when large waves or strong currents are prevalent. Life-guarded beaches are the best choice, but if venturing to a beach without a lifeguard, be sure to check local ocean and surf conditions first. Always apply sunblock generously as the Hawaiian sun can cause you to burn quickly, even on a cloudy day. Lydgate is an excellent family-friendly beach. 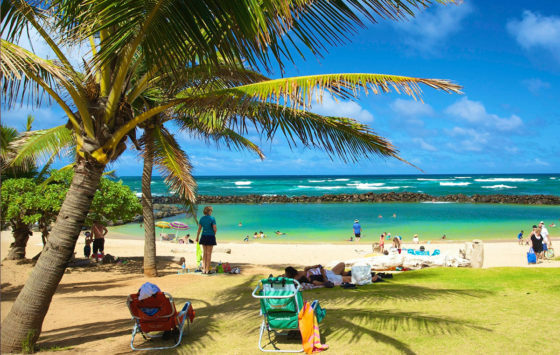 At Lydgate Beach Park, parents can relax and enjoy while kids can play safely in the ocean, because a lava-rock wall creates a calm pool. Fresh water and even fish filter in, so snorkeling is encouraged with no waves or currents. Several picnic tables are available and there is plenty of shade nearby. There are also restrooms and showers so you can stay the whole day. An extravagant wooden playground is nearby and soccer fields as well, so you can keep on playing even after the beach. Kealia beach is over half a mile of white sand and offers a great chance for swimming or body surfing. It is a life-guarded beach with the north area perfect for swimming and wading, while a nearby reef sends great waves to the southern area of the beach for those wanting to body surf. In the summer months the waves are often perfect for surfing or body boarding. 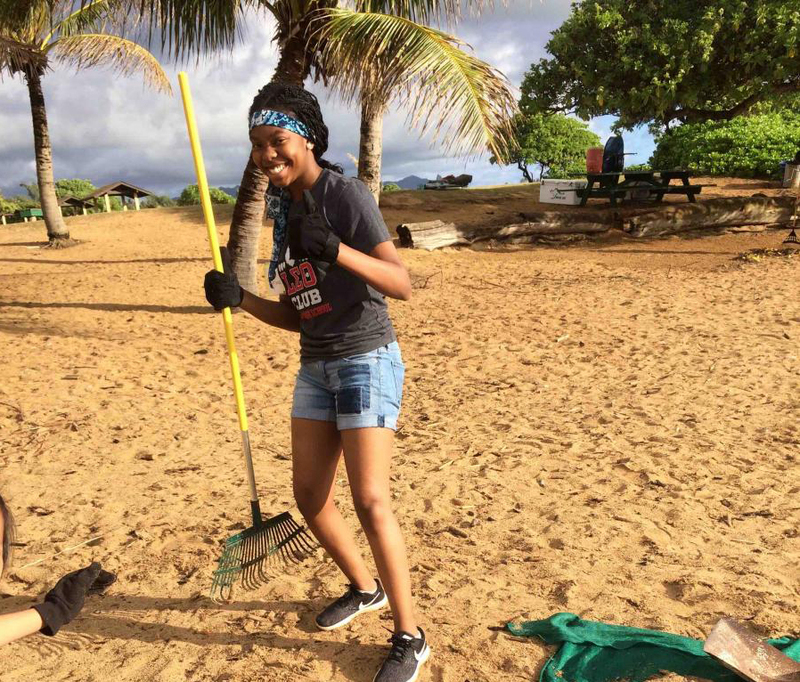 The land around the beach was once a large sugar plantation, over 2,000 acres at its peak. Today the land is being preserved and is one of the largest agricultural subdivisions on the island. The walking path currently ends at Kealia beach, so it is a great opportunity for a picnic on the beach. 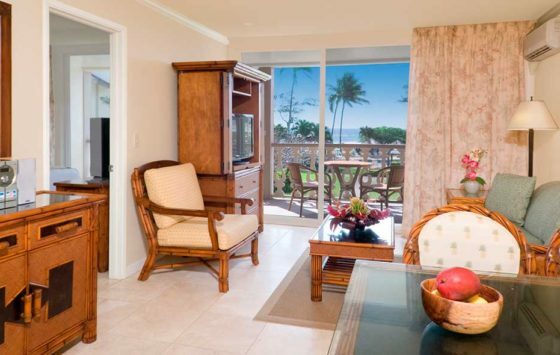 Pack a lunch, and walk or ride bikes to Kealia where sunshine and surf await you. Before setting out to enjoy Kauai’s beaches, please watch this Ocean Safety video. 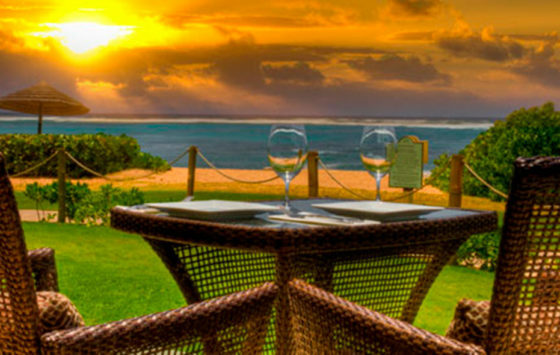 The Royal Coconut Coast has more restaurants than any other area of Kauai. There's something for every palette and budget.